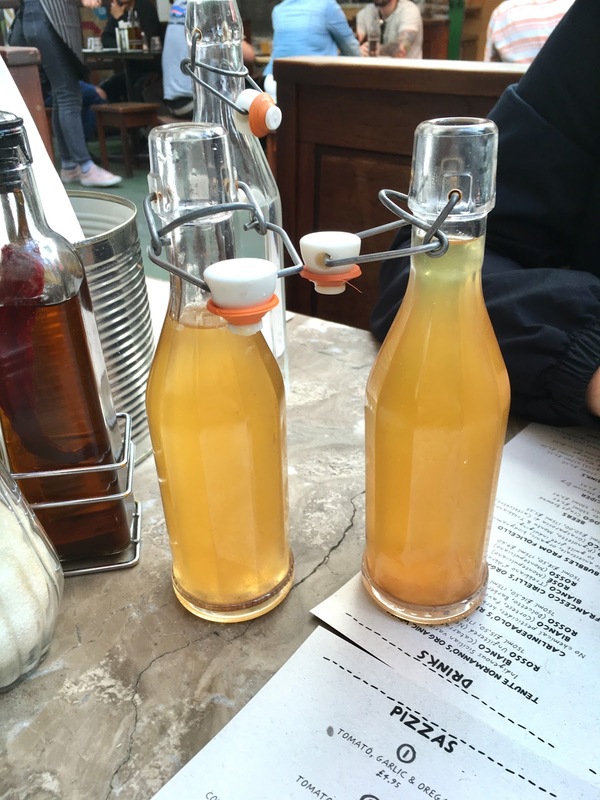 This weekend my boyfriend and I had a little trip to London to visit friends. We stayed in Brixton which is somewhere I have never been before and it definitely a unique part of the city. 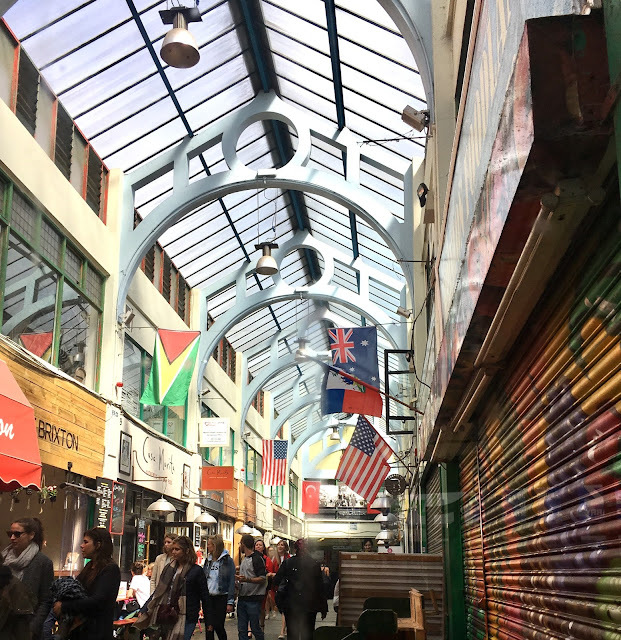 It's vibrant, it busy, it's quirky and it is crammed with delicious eateries, wherever you look there is somewhere enticing you in with delicious aromas or amazing decor. My partner had been to Brixton before and was desperate to visit a pizza place he had been to on a previous visit, I wasn't going to say no to a pizza so off we went to a hidden market place which was wall to wall with small individual places to eat. 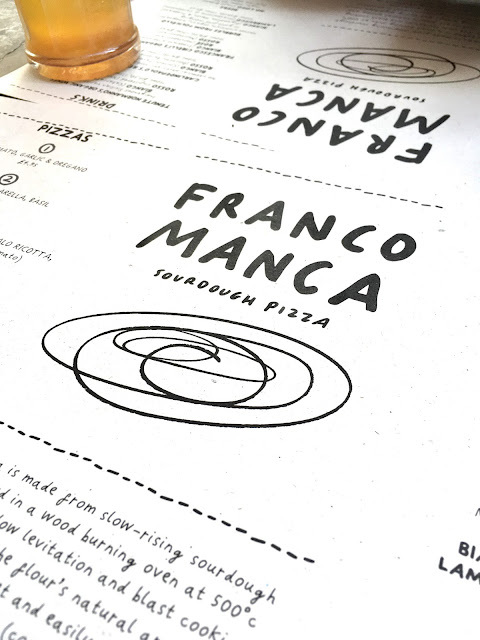 Franco Manca have restaurants in very trendy places such as Brixton, Soho. Canary Wharf plus many more areas of London, and outside of London too, like Brighton! 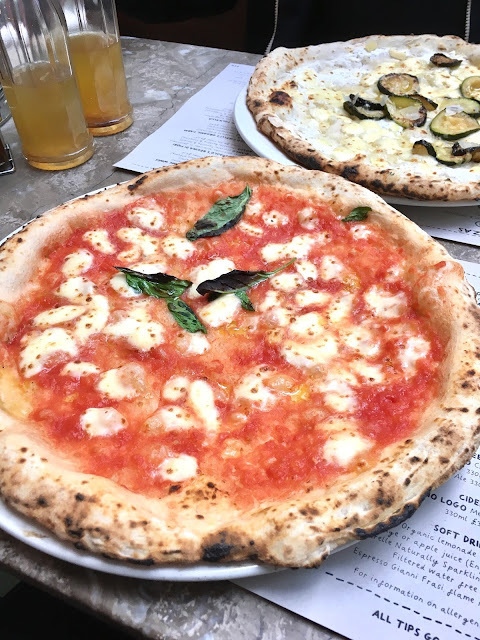 "Our pizza is made from slow-rising sourdough and is baked in a wood burning oven at 500 °c. The slow levitation and blast cooking process locks in the flour’s natural aroma and moisture giving a soft and easily digestible crust. As a result, the edge (cornicione) is excellent and shouldn’t be discarded. This system was originally developed by the Greek settlers who in the 5th century BC founded Neapolis. They adapted a pre-existing baking tradition to develop this new‘Pita’, which through experimentation, luck and linguistic distortions, became pizza. This recipe has been developed under the leading light of Marco Parente and Giuseppe Mascoli." Sounds delicious right?! Well I was not disappointment. 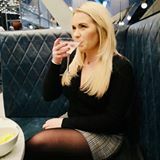 The menu was simple yet there is something for anyone's taste buds and the prices are incredible, especially for London! Freshly baked pizza in a relaxing yet bustling environment in the heart of Brixton, what more could you ask for? Maybe a homemade thirst quenching lemonade? 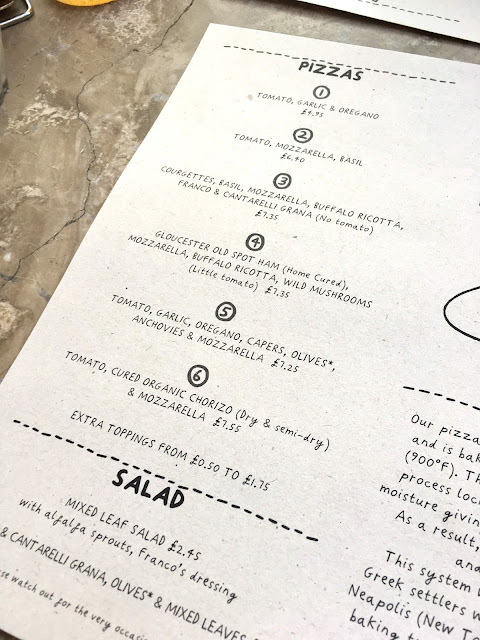 I chose the Tomato, Mozzarella and Basil pizza and my boyfriend chose the Courgette, Basil, Mozzarella, Buffalo Ricota, Franco & Canterelli Grana (no tomato) pizza. Both of us left here very full, happy and impressed at the overall experience in Franco Manca and we would definitely recommend finding this little gem if you are anywhere near Brixton (or any of their other restaurants). I don't think a Goodfellas at home will ever taste the same again - sigh!